As the competition gets tough, IM Valeri Lilov continues to provide you with the highlights of the key games from the Indian National Premier Chess Championship 2015. In the eighth round of the event, there was a clash between two Grandmasters with an equal rating of 2651. It was a beautiful game played between GM Vidit Santosh Gujrathi and GM Sethuraman. It was a very nice game involving a lot of calculations, attacks, piece maneuvering, and lots more. In the previous article, IM Valeri Lilov prepared a video lesson for you, annotating the games of the sixth round of Indian National Premier Chess Championship. If you missed that, you can check those instructive games here. I’m sure you don’t want to miss the different things you can learn from these games. Today, Lilov has published the video which is the highlights of the seventh round of the tournament. In this lesson, Lilov has selected two of the most fascinating games from the round involving players like GMs Vidit Santosh Gujrathi and Sethurman, IMs Arghyadip Das and Shyaam Nikhil. One of the most grand and popular events in India, the Indian National Premier Chess Championship is currently being held at Tamil Nadu this month. And the standard of the tournament games is just amazing. The tournament consists of 14 players which has 8 GMs, 5 IMs and 1 FM. Our guest coach, IM Valeri Lilov has prepared a video lesson for you which will contain the highlights of the sixth round of the tournament. Lilov discusses about two of the interesting games of the sixth round. Today, we’ll have a look at the first game of the World Chess Championship Match 2014, Sochi between Vishy Anand and Magnus Carlsen. There are always quite a lot of things you can learn from top GMs games. This article was prepared by IM Saravanan. Though it is quite a lengthy article (also the game is quite long), IM Saravanan has written it in a very nice manner. He explains about the pre-game preparation and studying of your opponent and I found it very interesting. Let’s go! In what way can chess training help you? Recently, I came across some very interesting news and I’m very happy to share it with you: Spanish schools have introduced chess class to boost maths learning for their students. More precisely, just an hour of chess training a week can improve a pupil’s performance in maths by 30%, as schools across Spain are finding out. In an effort to boost their pupils’ low maths and reading marks, more and more Spanish schools are holding chess clubs – and some could even make it a compulsory class. “It really increases your mental capacity. I have improved a lot,” said Alvaro, an eleven-year-old student at a chess group in his school north of Madrid. One of the instructors divides the lesson time between chess games, theory, and showing the pupils “cool things that they really like, moves like ‘the nail’ and the ‘x-ray attack’. The southern Russian region of Kalmykia is seen as the pioneer in using chess as an official educational tool, having introduced it as a school subject in 1996. Armenia became the first country to apply the policy nationwide in 2011. Mexico followed in 2014, as well as parts of China, India and Germany. Note: part of this article is taken from here. What do you think about making chess a compulsory or optional subject in schools? I would appreciate your thoughts and ideas on this. Feel free to write your comments below. How to train effectively in chess? The number of hours per day spent on each aspect of chess? How and what to train with only 1-2 hours free per week? How to make steady progress? How to work best when alone? 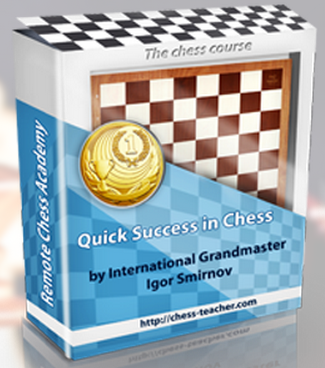 To answer all these questions, I have created the FREE chess course “Chess Training Plan for Rapid Improvement” for you. This three-part video series will change the way you train for chess! Also, I’m very happy to see this kind of chess development around the world! You can spread your love of chess by sharing this article with your friends. To finish today’s article, let’s ‘boost’ our minds! White has got a very good advantage. But how should White finish the game now? After calculating all possible variations, you can check the whole game here. Recently, I received feedback from one of my students, Joshua, who attended my seminar in Vellore, India on 17 October. In his message, he shared his experience in chess, a recap of his chess career, and the lessons he had learnt from my courses and seminar. Once again, let me wish a very Happy Diwali to everyone who celebrates this festival! Let it bring you more inspiration and prosperity. Let it brighten your face with a smile and bring new positive feelings to you and yours! Also, let me remind you that the special 35% discount on the new mini-course, the “Nimzo-Indian Defense”, will expire very soon – on Friday, 13 November. This is the second part of the lesson “How to evaluate a position in chess?” by GM Petr Velicka. To write this lesson, Velicka was inspired by his two games from the summer open tournament in Ikaria. Both games have a common denominator: the position after the opening was equal, or even very nearly a draw, but the result of the game was a win for the stronger player. If you missed game-1 (the first part), then you can watch it here. Now, let’s continue studying the lesson with the second game. I’m very happy to announce that we have released a new mini-course. It is called the “Nimzo-Indian Defense” and was prepared by our guest coach, GM Levan Aroshidze. As you may have already realized, this course is about the “Nimzo-Indian Defense” opening. As I already informed you a few months ago, following your requests we’re splitting the course “GM’s Opening Laboratory – 2” into several openings, thereby making it possible for you to purchase any particular opening for a relatively small price. 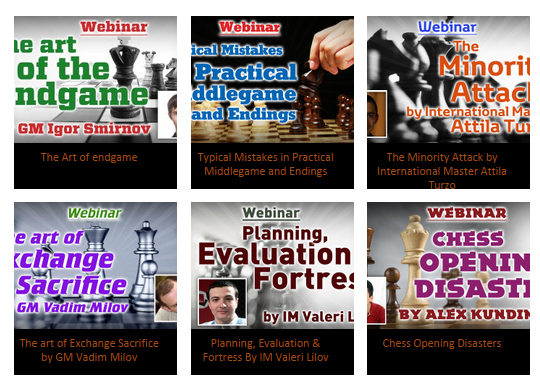 We have already released one such course for you – it is the “Bogo-Indian Defense” by GM Aroshidze. More importantly, we’re releasing the course, Nimzo-Indian Defense, in Udemy – the world’s online learning marketplace – and you can study it there. As I have observed in previous articles, we’re planning to move all our courses to Udemy. Today, I’d like to share with you a very interesting article on the topic “How to evaluate a position in chess?”. To be more precise, how does one say if a position is equal or a draw? Or are these terms the same? 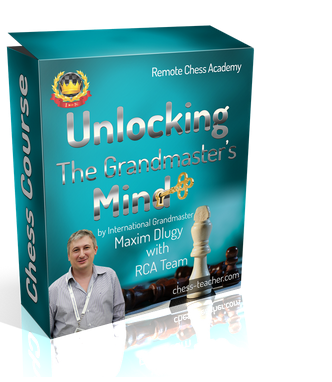 This lesson is prepared by GM Petr Velicka. To write this lesson, I was inspired by my two games from the summer open tournament in Ikaria. Both games have a common denominator: the position after the opening was equal, or even very near a draw, but the result of the game was a win for the stronger player. Today, I’d like to share with you an amazing story which involved a chess teacher. I just found it very emotional and inspirational, and I felt obliged to mention this honourable person who teaches our beloved game. James Vernon, 75, an Army veteran, fought off a knife-wielding man who tried to attack a group of children in a library in Morton, Illinois, United States. Vernon was teaching chess to a group of 16 children at the Morton Public Library. He’d finished his tutorial and was walking around the room to survey the children’s chess moves when a man wielding two knives burst into the room threatening to kill them. “He flung the door open and yelled, ‘I’m going to kill somebody,’” Vernon says. Vernon put himself between the man and the door, and tried to diffuse the situation while the children escaped. Vernon says he was solely focused on saving the kids. The children got out safely, but that’s when 19-year-old Dustin Brown came at Vernon with the knives.”I didn’t have any weapons except my hands, so I grabbed him and threw a knee at him and my weight pushed him back.” he says.